It’s now common knowledge that 70% of your immune system resides in the digestive tract. When your immune system health is not functioning at optimum levels, immediate focus is needed in two areas: (1) your digestive tract and (2) your liver, which is the main filter of the body. 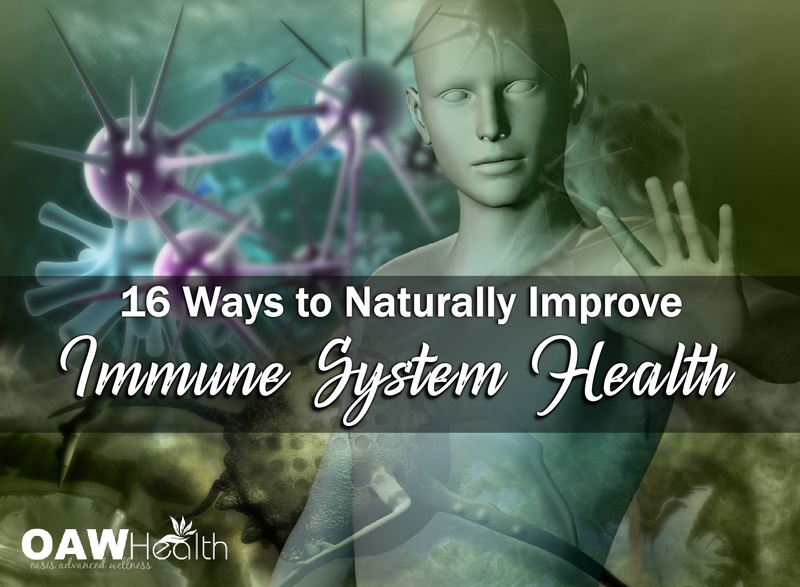 There is not one supplement or modality alone that can effectively restore immune system health even though many would have you believe differently. I have personally found that in order to help your immune system heal, you must address proper cleansing, healthy diet, exercise, hormones, restful sleep, quality supplementation and herbs. All of these have a synergistic effect while providing the immune system the help and support that it needs to repair. 1. Digestive tract cleansing and Liver/gallbladder cleansing – A must, especially at the beginning of fall and spring as well as after a round of antibiotics or other prescription medications. If one has never performed a cleanse, I suggest doing three back-to-back cleanses and then one digestive tract/liver/gallbladder cleanse in the spring and fall. For digestive tract cleansing Oxy-Powder is one of the best oxygen-cleansing products on the market today. 2. Parasite – Harmful Organism Cleanse – Everyone has parasites and unfortunately parasites are easier to pick up than most people realize. Many worm parasites have a long life span and can cause chronic infections. When infected, you can remain asymptomatic for many years while the parasites are setting up house, continually making babies and even going to the bathroom in your body. Some worms can live a long time and secrete things that will control your immune system, tricking it into thinking they are actually part of your body. Using several rounds of a parasite/harmful organism cleanse enables the ability to get the entire life-cycle of parasites. I highly recommend and use a harmful organism cleanse. 3. Very healthy diet – Strong immune system health depends greatly on a healthy diet full of fresh, organic fruits and vegetables. A nutrient-deficient diet, on the other hand, can cause your entire system to turn upside down beginning from a sluggish digestive system to a distressed elimination system—both of which can bring a healthy immune system down. Eliminate gluten, refined sugar, processed dairy and most pre-packaged foods. Too much refined sugar can bring your immune system down and can literally ruin your health. In fact, over consumption of refined sugar is likely the biggest reason many people get sick around holidays. Cook at home with fresh and organic ingredients and try to completely eliminate dining out for a while. Many people find that eliminating gluten from their diet helps with weight loss as well as with other types of lifestyle health issues such as diabetes. Consuming green leafy vegetables on a daily basis is excellent for your immune system. Put a capful of raw, organic apple cider in each glass of purified water that you drink throughout the day. Incorporate essential fatty acids into your diet. Eat as close to nature as possible. Drink pure, clean water or prepare some of the organic fruit water recipes. 4. High Quality Probiotics – When you consider the fact that 70% of your immune system dwells in your gut, perpetuating a balance of probiotic bacteria is necessary for elevating your immune defenses. Remember that the good bacteria in your gut are known as probiotics with the responsibility of supporting digestion, fighting against harmful organisms, and keeping your immune system health in check. I highly suggest using a spore bearing probiotic such as Latero-Flora taken at night before bed. 5. Enzymes – Enzymes aid in digesting food, transporting nutrients, carrying away toxic wastes, purifying the blood and converting protein. On a larger scale, enzymes also slow the aging process and support our body’s wellness and homeostasis. Though our body produces enzymes naturally, our natural enzyme production begins to decline after age 25. As we age, our body produces fewer enzymes, and eventually we may become enzyme deficient. This is when many people begin to notice the effects of aging, including joint pain and circulatory problems, slower injury and wound healing, and increased internal inflammation and disease. In terms of healthy immune system function, enzymes are extremely important. White blood cells are especially rich in enzymes, which help them to digest and destroy any foreign organisms – such as viruses and bacteria that try to harm our bodies. Every day, millions of enzymes within our bodies help to renew, sustain and protect us making them very necessary for a healthy immune system. 6. Selenium – Selenium is an important mineral essential to health immunological activity. Good sources of selenium are goat’s milk, free-range eggs, Pau d’Arco Tea or a quality selenium supplement. 7. Pau d’Arco Tea – Pau d’Arco tea contains selenium which is one of our body’s natural defenses against yeast infections. Its antifungal action can aid in the elimination of candida. Because of its antifungal properties, it is useful for fighting fungi that promotes athlete’s foot and other skin infections caused by fungi. Pau d’arco also has a cleansing ability and possibly very useful for relieving intestinal infections, destroying parasites, and restoring colon health. A number of infection fighting substances known as napthoquinones seem to destroy certain disease-causing bacteria, without destroying beneficial bacteria. This makes it an excellent natural antibiotic. As a preventative, pau d’arco helps build our immune system with the stimulation of macrophages that fight disease. The old Roman phrase, caveat emptor- – let the buyer beware, is applicable when buying Lapacho, Pau d’arco or Taheebo. As with many newly discovered helpful treatments, the use of Lapacho is often without appropriate background info. Unscrupulous suppliers have found it very profitable to grind up both the inner and worthless, bitter outer bark, and sometimes the entire tree, often without regard as to whether or not it was the correct Lapacho tree. This adulterated or even worthless material is shipped to unwary American packagers and sold to the public as Pau d’arco, Taheebo, Ipe Roxo or Lapacho. Fortunately, there is also very high quality Lapacho in the U.S. The challenge facing the consumer, in order to achieve maximum effectiveness, is to know which of all the brands available is truly 100% inner lining of the Red or Purple Lapacho Tree. While there are numerous varieties of Lapacho trees in South America, only the inner lining of the tree has known medical value. It is this inner lining (or phloem) which carries nutrients made by the leaves to other parts of the tree and is, with the cambium layer (where all the new cells are produced) the “life” of the tree. 8. Transfer Factor – In my opinion, one of the best immune supplements on the market today. The company that makes Transfer Factor is multi-level-marketing and as such, the product is expensive. This is one of a very small handful of MLM products that, in my opinion, is worth the money especially for those dealing with compromised immune systems. Google 4Life Transfer Factor for more information. 9. Herbal Medicine – Star anise can help the immune system protect the body against a number of different strains of flu virus. Star anise is also helpful in reducing chronic pain, cough, urinary infections, and respiratory infections. Another powerful herb to consider is Anamu. It combines antifungal, antibacterial, antiviral, and antitumorous capabilities into a powerful enhancer of the body’s immune defenses. For many centuries, people used Anamu as a remedy for anxiety. 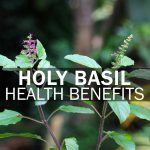 Because it actually stimulates the production of T-cells, it is one of the most powerful herbs you can use to boost your immune system. 10. intraMAX – An organic, multi-vitamin/mineral supplement is necessary for everyone – children to seniors. intraMAX is a liquid organic multi-vitamin/mineral complex. intraMAX is also organic and non-gmo. 11. Vitamin C – Vitamin C helps with stress and may act as an antioxidant. Antioxidants can help to combat free radicals, better equipping your immune system to combat invading bacteria and microbes. I use and recommend Vitality C with GMS Metabolites. Use the bowel tolerance test when deciding how much Vitamin C to take. 12. Vitamin D3 – Vitamin D3 is another nutrient that keeps your immune system health very strong. Get out in the sun for 30-45 minutes each day or during the winter months take an organic Vitamin D3 supplement such as Suntrex D3. Most people need at least 5000 IU per day, more for those fighting illness. If possible get your Vitamin D3 levels checked before beginning supplementation and then again at 4-6 months. 13. Reduce Stress Levels – We live in a very fast-paced and stressful world. Chronic stress is quickly becoming known as the real “silent killer” in adults and children. “Some kinds of stress — very short-term, that last only a matter of minutes — actually redistribute cells in the bloodstream in a way that could be helpful,” says Suzanne Segerstrom, an associate professor of psychology at the University of Kentucky who has conducted studies on stress and the immune system. “But once stress starts to last a matter of days, there are changes in the immune system that aren’t so helpful. And the longer that stress lasts, the more potentially harmful those changes are.” This makes it imperative to deal effectively with stress issues before they become a factor for illness or disease. Walking is a great stress reliever. Activities such as gardening, rebounding, hobbies, sports, etc. are also good for relieving stress. Talking to a trusted friend, practitioner or pastor can also be helpful. Working on anger, resentment, victim mentality and other toxic emotions is also healing to the entire body. 14. Restful Sleep – Adequate and restful sleep is VERY IMPORTANT for repairing, healing and even boosting you immune system. Going to bed (sleeping — not reading, watching TV or on your laptop) by 10:30 PM every night goes a long way in restoring stress hormones to healthy levels thus supporting healthy immune function. 15. Chiropractic – Frequent chiropractic adjustments can also improve one’s immune system as well as provide stress relief. Your nervous system and immune system are very connected and work together creating optimal responses for the body to heal properly. Neural dysfunctions due to spinal misalignment stress the body and can cause changes that can lead to a poorly coordinated immune response. Chiropractic adjustments can boost the coordinated responses of the nervous system and immune system. 16. Massage Therapy – Hands on healing techniques such as massage therapy may help to decrease stress, improve circulation and lymphatic drainage as well as enhance overall immune function. Lymphatic drainage techniques such as dry skin brushing, deep breathing and rebounding are also very helpful to help the body effectively eliminate toxins. BONUS – Hormone Balance. In order for your immune system to work properly, balanced hormone levels are important. Your adrenal glands (also known as suprarenal glands) have a significant influence on your immune system. They produce hormones that are vital to several metabolic functions, including DHEA, progesterone, testosterone, cortisol, and epinephrine. Your adrenal gland’s production of cortisol is essential to maintain immunity. Some autoimmune diseases happen because of low unbalanced ratio levels between progesterone and estrogen. Your progesterone balance also has an effect on proper T-cell and NK cell activity. During pregnancy, progesterone aids immune system development in the baby, a possible reason progesterone levels are high during the third trimester of pregnancy. Your body is bombarded everyday with chemicals, toxins, environmental pollution, noise pollution and even electromagnetic frequencies which after time can begin to have a detrimental effect on your immune system health. While of the above suggestions for immune system health are important, not all are necessary. Always speak with a trusted healthcare provider who knows your health history. However, it’s good to remember that a very healthy diet and cleansing are, in my opinion, foundational in helping the body to get well and stay well. We need to get away from the belief that illness is normal. It doesn’t have to be. There’s no reason one should be laid-up multiple times every year with colds, the flu or even strep throat. If you find yourself getting every illness that is “going around”, it’s definitely time to pay attention to your immune system health. Believe it or not, there really are individuals who stay healthy for years on end. Many would say they have been blessed with “healthy genes”, but is that the real reason? Probably not. 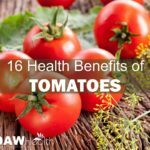 Most likely it’s because they choose to focus on their immune system health by eating a very healthy plant-based diet, exercising daily, using quality supplements, getting restful sleep, and avoiding toxic environments as much as possible — all of which are very powerful in transforming one’s health. There’s no reason you can’t do the same. 1. Peter S. Goodman. Star Rises in Fight Against Bird Flu. The Washington Post. 2005 November 18. 2. Duke JA. CRC Handbook of Medicinal Herbs. Boca Raton, FL: CRC Press, 1985, 470-1. 3. Guiraud P, Steiman R, Campos-Takaki GM, et al. Comparison of antibacterial and antifungal activities of lapachol and beta-lapachone. Planta Med 1994;60:373-4. 4. Tyler VE. Herbs of Choice: The Therapeutic Use of Phytomedicinals. Binghamton, NY: Pharmaceutical Products Press, 1994, 180. 5. Oswald EH. Lapacho. Br J Phytother 1993/4;3:112-7. 6. Kung HN, Yang MJ, Chang CF, Chau YP, Lu KS. In vitro and in vivo wound healing-promoting activities of beta-lapachone. Am J Physiol Cell Physiol. 2008 Oct;295(4):C931-43. Epub 2008 Jul 23. 7. Son DJ, Lim Y, Park YH, Chang SK, Yun YP, Hong JT, Takeoka GR, Lee KG, Lee SE, Kim MR, Kim JH, Park BS. Inhibitory effects of Tabebuia impetiginosa inner bark extract on platelet aggregation and vascular smooth muscle cell proliferation through suppressions of arachidonic acid liberation and ERK1/2 MAPK activation. J Ethnopharmacol. 2006 Nov 3;108(1):148-51. 8. Park BS, Lee HK, Lee SE, Piao XL, Takeoka GR, Wong RY, Ahn YJ, Kim JH. Antibacterial activity of Tabebuia impetiginosa Martius ex DC (Taheebo) against Helicobacter pylori. J Ethnopharmacol. 2006 Apr 21;105(1-2):255-62. Epub 2005 Dec 15. 9. Park BS, Lee KG, Shibamoto T, Lee SE, Takeoka GR. Antioxidant activity and characterization of volatile constituents of Taheebo (Tabebuia impetiginosa Martius ex DC). J Agric Food Chem. 2003 Jan 1;51(1):295-300. 10. Bezerra DP, Alves AP, de Alencar NM, Mesquita Rde O, Lima MW, Pessoa C, de Moraes MO, Lopes JN, Lopes NP, Costa-Lotufo LV. Antitumor activity of two derivatives from 2-acylamine-1, 4-naphthoquinone in mice bearing S180 tumor. J Exp Ther Oncol. 2008;7(2):113-21. 11. Balassiano IT, De Paulo SA, Henriques Silva N, Cabral MC, da Gloria da Costa Carvalho M. Demonstration of the lapachol as a potential drug for reducing cancer metastasis. Oncol Rep. 2005 Feb;13(2):329-33. 12. Tandon VK, Singh RV, Yadav DB. Synthesis and evaluation of novel 1,4-naphthoquinone derivatives as antiviral, antifungal and anticancer agents. Bioorg Med Chem Lett. 2004 Jun 7;14(11):2901-4. 13. Schmeda-Hirschmann, G.; Papastergiou, F.Z. Naturforsch. 2003, 58c, 495. 14. Pinto CN, Dantas AP, De Moura KC, Emery FS, Polequevitch PF, Pinto MC, de Castro SL, Pinto AV. Chemical reactivity studies with naphthoquinones from Tabebuia with anti-trypanosomal efficacy. Arzneimittelforschung. 2000 Dec;50(12):1120-8. 15. Cas Lek Cesk, Nouza K, Wald M. Systemic Enzyme Therapy. 1995 Oct 4;134(19):615-9. http://www.ncbi.nlm.nih.gov/pubmed/7585873. 16. White PhD, Aaron. 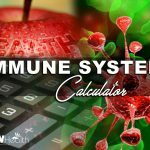 A Guide to Transfer Factors and Immune System Health. 17. Hoffmann, PR, Berry, MJ. The Influence of Selenium on Immune Responses. 2008 Nov;52(11):1273-80. doi: 10.1002/mnfr.200700330. 18. Vitamin D and the Immune System.Investig Med. Aug 2011; 59(6): 881–886.doi:10.231/JIM.0b013e31821b8755. 19. Wintergerst ES, Maggini S, Hornig DH. Immune-enhancing role of vitamin C and zinc and effect on clinical conditions. Ann Nutr Metab. 2006;50(2):85-94. Epub 2005 Dec 21. 20. Segerstrom, S. C. and Miller, G. E. (2004). Psychological Stress and the Human Immune System: A Meta-Analytic Study of 30 Years of Inquiry. Psychological Bulletin, Vol. 130, No. 4. 21. Suzanne C. Segerstrom et al. “Psychological Stress and the Human Immune System: A Meta-Analytic Study of 30 Years of Inquiry.” Psychological Bulletin, Vol. 130, No. 4, 2004. 22. Bruce S. McEwen. “Protective and Damaging Effects of Stress Mediators.” The New England Journal of Medicine, Volume 338:171-179. 23. Sleep as a mediator of the stress-immune relationship, Psychosomatic Medicine January 1, 1998 vol. 60 no. 1 48-51. 24 Circadian clock governs highs and lows of immune response. 25. Brennan PC, Triano JJ, McGregor M, et al. Enhanced neutrophil respiratory burst as a biological marker for manipulation forces: duration of the effect and association with substance P and tumor necrosis factor. J Manipulative Physiol Ther 1992; 15(2):83. 27. Brennan PC, et al. Enhanced Phagocytic Cell Respiratory Burst Induced by Spinal Manipulation: Potential Role of Substance PJ Manipulative Physiol Ther 1991 (Sep); 14 (7): 399–408. 28. Ironson G, Field T, Scafidi F, Hashimoto M, Kumar M, Kumar A, Price A, Goncalves A, Burman I, Tetenman C, Patarca R, Fletcher MA. Massage therapy is associated with enhancement of the immune system’s cytotoxic capacity. Int J Neurosci. 1996 Feb;84(1-4):205-17. 29. Macfarlane GT, Cummings JH. Probiotics and prebiotics: can regulating the activities of intestinal bacteria benefit health? BMJ. 1999 Apr 10;318(7189):999-1003. Review. 30. Teemu Taipale, Kaisu Pienihäkkinen, Erika Isolauri, Charlotte Larsen, Elke Brockmann, Pentti Alanen, Jorma Jokela, Eva Söderling. Bifidobacterium animalis subsp. lactis BB-12 in reducing the risk of infections in infancy. British Journal of Nutrition. 2011 February. vol. 105 issue 03, 409-416 doi:10.1017/S0007114510003685. 31. Gomez-Gonzalez B, Dominguez-Salazar E, Hurtado-Alvarado G, et al. Role of sleep in the regulation of the immune system and the pituitary hormones. Ann N Y Acad Sci. 2012 Jul;1261:97-106. doi: 10.1111/j.1749-6632.2012.06616.x. Loretta Lanphier is a Naturopathic Practitioner (Traditional), Certified Clinical Nutritionist, Holistic Health Practitioner and Certified Clinical Herbalist as well as the CEO / Founder of Oasis Advanced Wellness in The Woodlands TX. 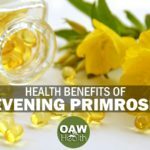 She has studied and performed extensive research in health science, natural hormone balancing, anti-aging techniques, nutrition, natural medicine, weight loss, herbal remedies, non-toxic cancer support and is actively involved in researching new natural health protocols and products. A 17 year stage 3 colon cancer survivor, Loretta is able to relate to both-sides-of-the-health-coin as patient and practitioner when it comes to health and wellness. “My passion is counseling others about what it takes to keep the whole body healthy using natural and non-toxic methods.” Read Loretta’s health testimony Cancer: The Path to Healing. Loretta is Contributor and Editor of the worldwide E-newsletter Advanced Health & Wellness. Check out Oasis Advanced Wellness and our natural skin care products at Oasis Serene Botanicals.